Pachinko is the very Japanese art of throwing your money away, i.e. gambling. 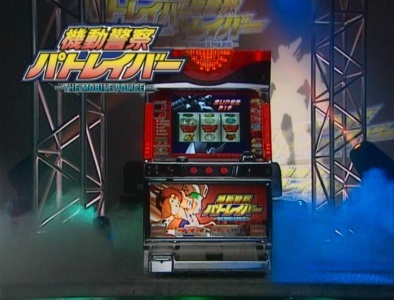 Essentially it’s the Japanese version of gaming machines. Unlike here in Australia or like other parts of the western world, they aren’t confined to RSLs, pubs or casinos. Pachinko Parlours are every-bloody-where. Seemingly like within 200 to 300 metres from every major train station in country. They’re noisy and blingy, with a lot of gaming machines linking in with some pop culture thing. In late 2012 when I was over there on a short holiday, you couldn’t walk anywhere and not see pictures of AKB48’s mugs plastered all over Pachinko Parlours everywhere. The other thing which got me was the popularity of these places. While this type of gambling seem to be restricted to the minority who frequent RSLs here, in comparison every Pachinko Parlour I went past was pretty much full. And they really pack those machines in there. Very early one Sunday morning (nearly 10am, early over there as nothing really opens until that time), deep in suburban Tokyo as I was heading towards the station at 5 minutes to 10am, there’s was a line up of about 15 people waiting for the local Pachinko Parlour to open. On a gorgeous sunny autumn Sunday. Cue The Whitlams singing “Blow Up the Pokies”. Even though my feelings towards gambling are rather negative, I purchased this promotional DVD of one such gaming machine from Yahoo! Auctions Japan a few years ago. 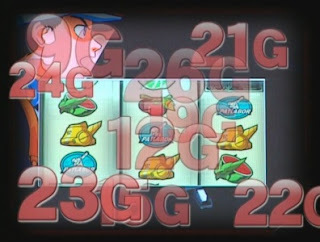 I think I first discovered existence of the Patlabor Pachinko Slot Machine (Pachislo) in 2007 via a Masami Yuuki (manga artist and co-creator of Patlabor) fan blog. Now your bog standard pachinko machine which is sort of like a pinball machine where the aim of the game is get as many metal balls (like largish ball bearings) out of the machine by attempting to trigger certain pins in the machine which then release more balls. As gambling is illegal in Japan, you actually take your tray full of metal balls to a window to get a prize. But then you take that prize to a window in a building outside the Pachinko Parlour (which is in NO WAY connected to the Pachinko Parlour *wink wink*) and they will pay you money for the prizes. Pachislo are a different beast. They’re similar to the garden variety poker machines you’ll find down at your local club. 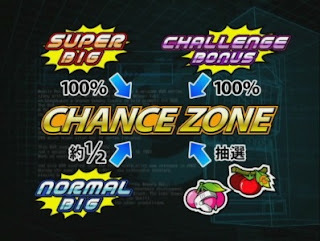 The difference with Pachislo is that you can unlock secret modes such as “Regular Bonus” and “Big Bonus” modes which supposedly effect payout. The DVD I got off Yahoo! Auctions Japan about 8 years ago was manufactured by Abilit, makers of the game. It’s a promotional DVD about the game. I’m still not too sure who it’s aimed at; the Pachinko Parlour owners or the punters themselves. At any rate, it certainly is a glossy presentation. 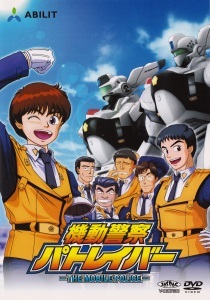 Running at about 11 minutes long, the DVD first introduces the Patlabor franchise itself, by repeating the same opening dialogue form the TV series openings. After a flurry of brand new art created specifically for the game, none other than Miina Tominaga and Toshio Furukawa, as the show’s main characters, Noa Izumi and Asuma Shinohara run through various aspects of the game. Apparently there’s 26 stages in the game, so you could probably play the bloody thing for hours on end (which of course is what they want you to do). Multiple versions of animation appear throughout the game. The animation (cel like and CG) is limited but looks decent enough. The DVD also runs through the various “Bonus” modes. But the game play just seems so bloody convoluted at times. I mean. Like what hell is this all about? I think the problem is that I really don’t understand the whole culture around pachinko and to be honest I’m not that great with Japanese (only know enough to get me in trouble). What really struck me is that the creators of Patlabor were more than happy to take big bags of cash from Abilit to make this game, as were the voice actors. Yes, all the original voice actors from the series appear in the game. And it’s not just Patlabor which got the Pachislo treatment. I recall “Urusei Yatsura” got a machine made a little while after this one and many other anime and manga have had the same treatment. I recall seeing adverts for a “Fist of the North Star” machine in Osaka in March 2013. Imagine if they had gaming machines branded with cartoon or comic book imagery in western countries. They’d be the predictable, rather tiresome moral outrage from the usual suspects. 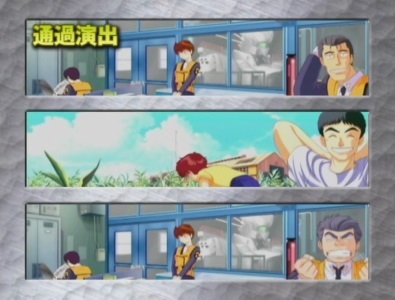 But of course these type of games are aimed at adults who remember the anime from their childhoods. Even if you were 10 when Patlabor was first broadcast, you’d be well over the legal age to gamble when Abilit released the machine. So there you have it; my Patlabor Pachislo Promo DVD. Easily one of my stranger purchases from Japan. Not sure if it was worth it, but it’s a nice little curio to have.